Rather than calling them templates, I refer to them as "semi-custom websites". 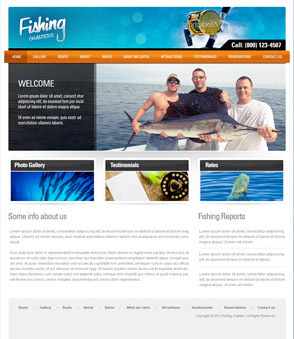 �They are the same exact structure used to make fully custom websites that cost in excess of $4,000.�Be sure to GET STARTED a domain and hosting account with the Charter Fishing Business Special Price. 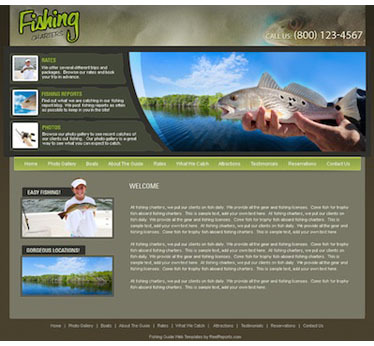 When just starting a fishing guide business you want to keep overhead low and while we don't recommend being too frugal on web marketing, we can help get you a beautiful website for FREE (Valued at $4,000!). 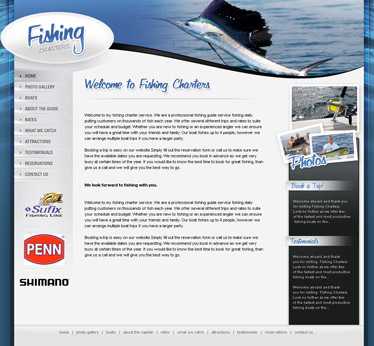 We have developed beautiful fishing guide templates in which you can simply drop in your logo, text and pictures and you will have a beautiful site. New! All templates are now developed for Wordpress. Wordpress is the ultimate in content management systems. 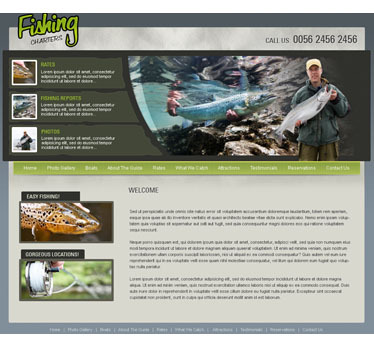 With very little experience you can manage your website for a beautiful control panel. Customize The Theme Using "Theme Options" in the Wordpress Control Panel. All web template property downloaded is "AS IS". ReelReports.com does not assume liablity or warranty of the property. The copyright link to ReelReports.com MUST remain in tact and not removed at anytime. By removing the copyright you break the terms of our free templates and we will seek legal action. You may not use the template for resale purposes, nor many any portion of the property be used for resale. 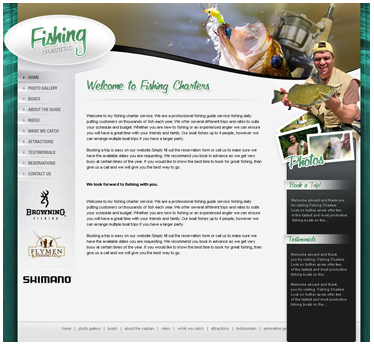 You may modify the template to suite your business by changing text, logos, and photos ONLY. Structure of site may not be changed.